If you have a local business, please post this flyer in your window. Lake County Coroner Merrilee Frey has confirmed that a 38 year old Highland man was fatally shot at Game Time III bar early this morning. In a release this afternoon, the coroner stated that they were dispatched to St. Catherine Hospital in East Chicago at 9:30 a.m. regarding the death of Thomas Ferrell of River Drive in Highland, Indiana. The cause of death was a single gunshot wound. Ferrell was 38 years old. As reported earlier today by the Gazette, Ferrell was reportedly shot while in the parking lot of the Hessville establishment. The Gazette was unable to obtain comment from the Hammond Police Department regarding the incident. Earlier reports from HPD indicated that there is gang activity, including a gang house, in the area immediately adjacent to the establishment. This incident occurred just steps from a september shooting which police later ruled to be accidental and self-inflicted. That shooting involved a teen carrying a handgun. Police believed that teen may have been selling drugs prior to the incident. As reported by the Gazette at the time, that incident may have involved another death absent heroic actions by Hessville residents who discovered the injured teen and called police. Just hours after issuing an alert for the public to be on the lookout, Highland Police arrested two burglary suspects this morning. Police received a call regarding a burglary in the Terrace Estates Subdivision this morning. At 11:27 am , Highland PD issued another public alert that they were searching for a heavy set black male wearing a white shirt. Within minutes that alert was updated to reflect that the subject was in custody but another suspect was still on the loose. At 12:20 pm, a final alert was issued advising that the second suspect was in custody. Both suspects are believed to have been involved in a burglary in the development earlier today. It is not known at this time whether these suspects are responsible for a string of burglaries that caused police to issue an alert yesterday. Highland Police are still asking residents to remain on heightened alert and notify police of any suspicious activity. Several Daytime burglaries have occurred recently. Residents are reminded to secure your homes and to report any suspicious activity. Griffith, Schererville, and Lowell police have issued similar releases in recent weeks. “The truth is irrelevant to him.” That is a quote which the Times of Northwest Indiana attributed to George Van Til while he was lying to all of us about stealing from us. Of course, Van Til was referring to his challenger and not to himself. Today he finally admitted that he is a thief and a liar. The only surprise was the timing of the announcement. The only question that remains to me is whether or not he will part with some of his purported information in order to save his own skin. No matter what happens, Van Til is not likely to spend significant time in prison. Although his conviction carries a maximum penalty of 20 years in prison, it appears that he may do as little as ten months behind bars. were using Lake County property and equipment to engage in political activity. Although the defendant is free to argue that the sentence imposed (guideline or non-guideline) be satisfied by any means available under the sentencing guidelines, or 18 USC 3553, under no circumstances will the government make any recommendation for a term of probation, home detention, or community confinement and will oppose any request for a non-guideline and non-incarceration sentence. The major difference in the 24 month sentence and the ten months he is likely to receive, involves the reduction in sentence for “acceptance of responsibility.” The difference between a plea and a trial in this matter is about 41 months because the Obstruction of Justice charge is a level 14 base offense under Guidelines. As stated below, the wire fraud charge is a level 7 base offense. Van Til becomes the 84th Lake County democrat to plead guilty to federal charges. None has ever been charged or convicted by Lake County Prosecutor Bernard Carter. The Plea Agreement calls for an additional one point reduction in sentencing provided Van Til cooperates with Government officials. That would reduce the sentence from 12 months to 10 months. 77 Year old Mary Ann Gigac was taken to Munster Community Hospital as a result of injuries she sustained. According to a report from Merillee Frey, Lake County Coroner, Ms. Gigac was pronounced dead at 1:20 p.m. today. The cause of death was blunt force trauma as a result of a motor vehicle accident according to the report. Ms. Gigac lived in the 7400 block of California Street in Hessville. The Indiana State Police would like to remind parents of a few safety tips to observe during the Halloween holiday. Parents and children will be out in full force next week trick-or-treating and the Indiana State Police would like to remind parents that observing just a few rules will help can make the evening both fun and safe. •Keep costumes short to prevent trips and falls. •Try make-up instead of a mask. Masks often obstruct a child’s vision, which makes tasks like crossing the street and going up and down stairs dangerous. •Make sure older children trick-or-treat with friends. Together, map out a safe route so parents know where they will be. •Instruct children to stop only at familiar homes where the outside lights are on. 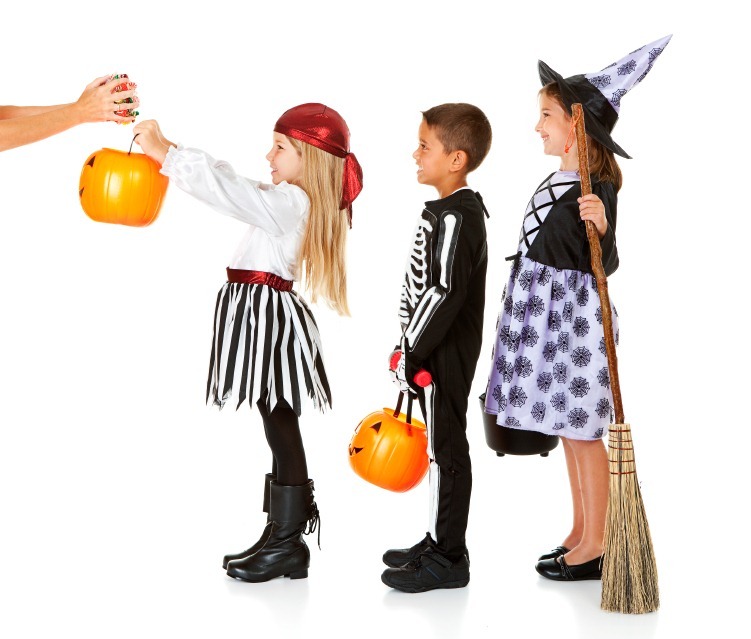 •Encourage children to trick-or-treat while it’s still light out. If children are out after dark, make sure they have flashlights and travel on well lighted streets. •Remind children not to enter the homes or cars of strangers. •Follow your communities trick-or-treating hours. •Remind children not to eat any of their treats until they get home. •Check out all treats at home in a well-lighted place. Additionally, many communities, schools and churches offer children safe alternatives to trick-or-treating designed to keep children safely within parents’ view. Some hospitals and schools allow children to trick-or-treat by going from room to room virtually eliminating the dangers associated with being out walking on the street after dark.